If you have only 24 hours to spend in Australia’s largest city, you will want to seek out the most memorable experiences. 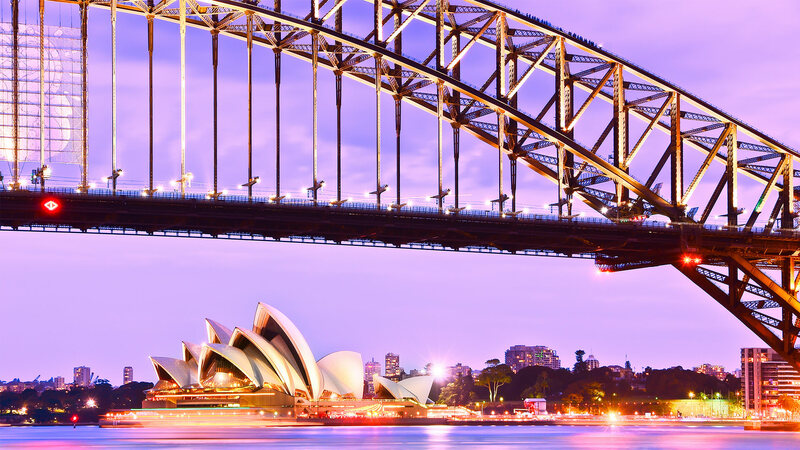 To this end, travel experts, Travelbag have created 24 Hours in Sydney, the ultimate interactive itinerary to this bustling city. In a number of contemporary hotspots mentioned in the guide, you will become one with the city’s cosmopolitan crowd in no time at all. There are few cities as dramatically beautiful as Sydney, and no place illustrates this better than the magnificent Sydney Harbour. Pristine beaches, picturesque gardens and lush pockets of natural vegetation form the playground of local ‘Sydneysiders’ and visitors alike, and features within the interactive itinerary. Upon arrival, the iconic Sydney Opera House and Sydney Harbour Bridge will welcome you to your destination – and what better way to enjoy the view than from a comfortable seat in a fine dining establishment? For a first impression of Sydney that truly inspires all the senses, Quay Restaurant in Sydney Harbour is our unrivalled recommendation. Quay is not only one of the top fine dining restaurants in Sydney, it has even featured in The World’s 50 Best Restaurants several times. With a tantalising menu designed by award-winning chef Peter Gilmore and made with exclusive produce coming from farmers, fishermen, producers and artisans in the surrounding area, you will truly get an unforgettable and authentic taste of Australia here. Choose from a 6 or 10-course menu with optional wine or temperance pairing, or simply visit for a drink. The remarkable menu items range from fresh oysters and hand-harvested seafood with virgin soy, seaweed and aged vinegar all the way to delectable desserts such as the restaurant’s famous “White Coral”, made from feijoa, white chocolate and coconut. Although the Sydney Opera House is admired by many from the outside, visiting the inside makes for a highly exclusive and enjoyable experience. The Opera House’s recent production of Aida combines the iconic opera, set to Verdi’s monumental music, with epic and innovative stagecraft and cutting-edge digital LED technology. This distinctive combination of classic and contemporary is highly representative of Sydney’s innovative approach to art; even at the Opera House, visitors can witness classic operas as well as contemporary music and lectures by changemaking voices. There is a suitable choice of entertainment for every taste and interest – a highly recommended stop-off. 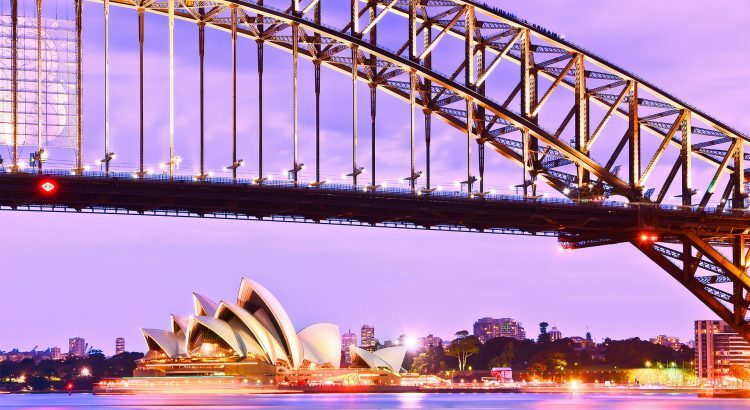 A leisurely stroll through the Royal Botanic Garden and Sydney’s version of Hyde Park will bring you to the Sydney Cricket Ground, an iconic site for followers of the sport. The stadium’s lush, green lawns are the home of the New South Wales Blues cricket team, the Sydney Sixers of the Big Bash League and the Sydney Swans Australian Football League club. Admire the bronze statues of local sports heroes and visit the Media Hall of Honour to appreciate fully the importance this stadium holds in Australian sports history. If the cricket grounds inspired you to engage in a game or two yourself, make a reservation at Moore Park Golf to practise your swing on lavish Sydney grounds. The 18-hole championship golf course with its 60-bay all-weather driving range boasts brilliant views of the Sydney skyline – a treat for even the most experienced golfer. What better way to unwind at the end of the day than to sink into a comfortable chair with a cocktail? Scattered throughout Sydney, there are decadent cocktail bars calling to well-heeled tourists and sophisticated Sydneysiders to come and taste their crafty creations. For an experience of luxury and opulence, a tipple at the Swinging Cat or Eau de Vie cannot be missed. Cheers to a magnificent end of your day! When it comes to luxury hotels in Sydney, our expert picks are the Establishment Hotel, Spicers Potts Point and QT Sydney. Featuring three distinct styles, ranging from modern and sleek at the Establishment to theatrical and tempting at QT, this highly exclusive collection is guaranteed to offer an experience that suits your taste. Rest your feet and slide under the silk sheets to reminisce about the adventures that your decadent day in Sydney has taken you on. This has been a city trip to remember! Discover how to make the absolute most of this iconic city with help from Travelbag’s ultimate interactive itinerary.